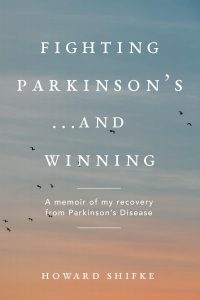 I intend to take each part of the Recipe, physical, mental, and spiritual, and explain why it is in the Recipe and what it is doing for you in your recovery, deeply drilling down to the how and why it is helping you recover from Parkinson’s. Today is the eighth part: Near hand-far hand exercise for kidney and brain. I had intended to do this near hand far hand when I started doing the Recipe, but I forgot about it for a few days. It was the early afternoon one day when I remembered, so I did it then. The boost of energy I received for the remainder of the afternoon was incredible so I left this part of the Recipe in the afternoon. 1. Snow Mountain area. The Snow Mountain is an energy center like the Dantian. It is located a couple of inches in front of the Mingmen. If you count upward from your coccyx, tailbone, to your fourth vertebrae and then move forward about two inches inside your body, you will be in the area of the your Snow Mountain. 2. Placement of your hands. After a couple of weeks, I no longer could stand and hold my hands away from my body, so I sat down and placed my palms on my kidneys (lower back, sides of spine). On the Part 2, I removed one hand and placed my palm directly on my head. 3. The saying of “dear soul, mind, and body…” is to center you and declare your intention. 4. I did the visualization just like it is written above. For those who completely feel they cannot perform a visualization, here is what I have recommended. Just prior to the chanting, close your eyes and say, “Dear my Higher Power, please direct the energy where it needs to go for my health and recovery. Thank you.” This keeps your intention inward. Then, do the chanting. Do not have fear that if you cannot do the visualizations in the Recipe, you cannot recover. Please know, everything in the Recipe can be modified for you…you have nothing to fear! Click here, and choose faith over fear in your journey to your cure from Parkinson’s! your explanations are making so much sense ! Thankyou for posting them, even on Christmas Day. Thank you so much Howard once again. Every time I read these blogs, the more I understands the reasons behind each movements.